Hi there! 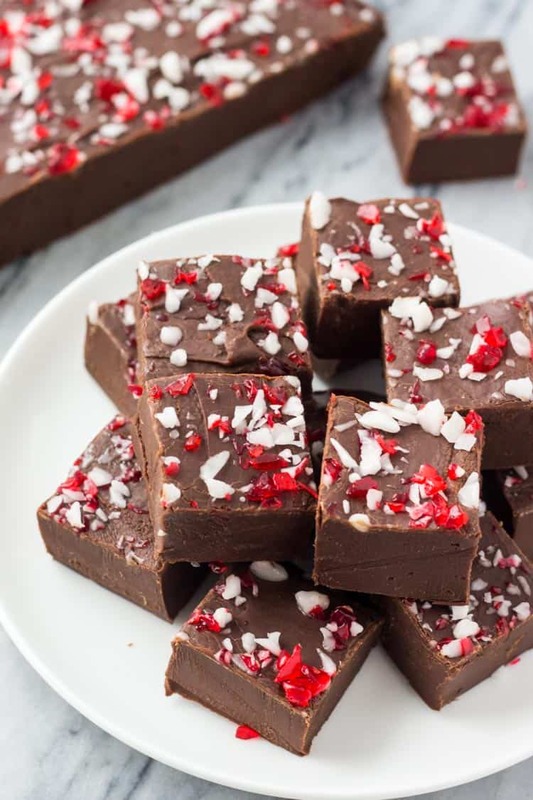 It’s Fiona from Just So Tasty, and today I’m stopping in to share this easy candy cane chocolate fudge recipe. 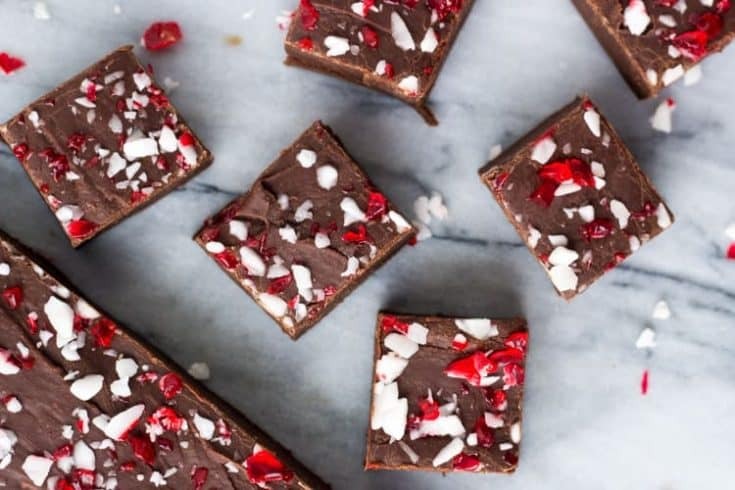 This Candy Cane Chocolate Fudge recipe is smooth & creamy with a rich chocolate flavor and topped with crushed candy canes. And the best part of all is that it’s super easy to make. Now, I absolutely love fudge. It’s the perfect homemade gift, and over the holidays fudge is always a good idea. Especially when there’s candy canes on top. I don’t think holiday baking and candy making should be stressful though. The holidays are for spending time with family and friends – not stressing in the kitchen. 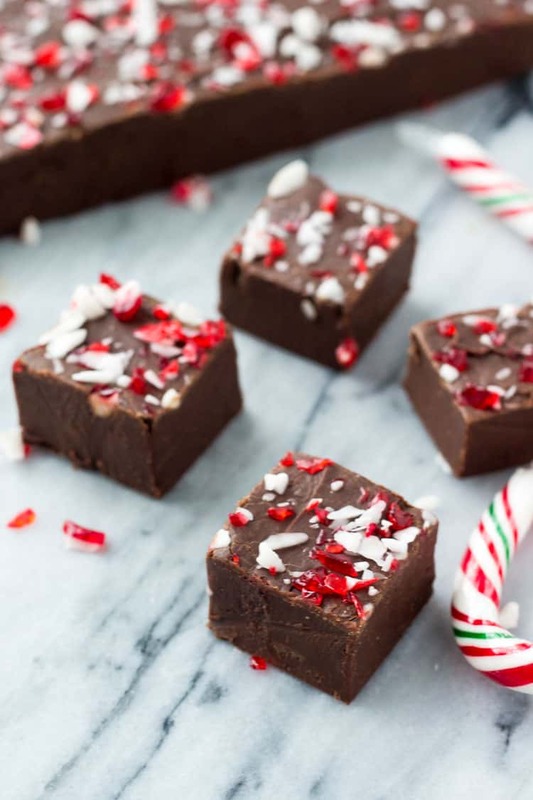 So this candy cane chocolate fudge is super easy to make. This recipe is super easy and straight forward – even if you’ve never made fudge before. In a medium saucepan we’ll add chocolate chips & a can of sweetened condensed milk. Then melt everything together over low heat while stirring. Make sure the heat is on low, otherwise you can burn the chocolate. Then once the chocolate is just melted, remove from the heat and gently stir in the vanilla. 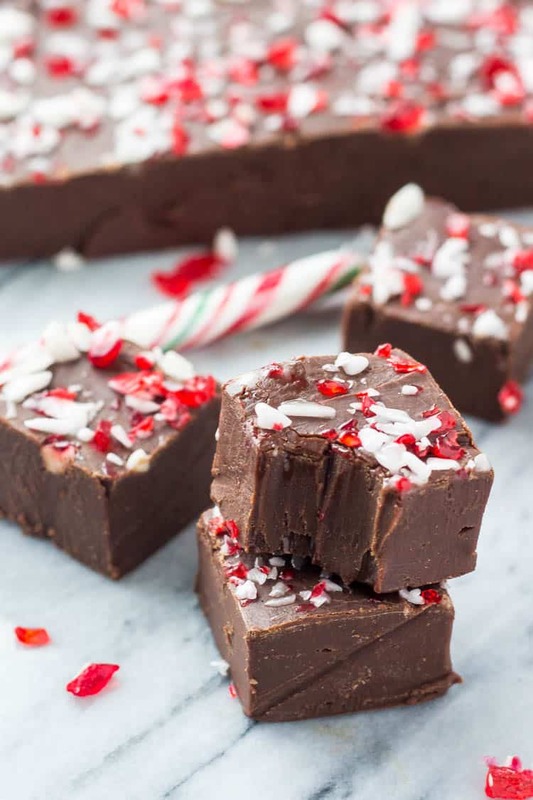 The creamy fudge mixture is poured into a square pan, and crushed candy canes are sprinkled on top. Then the fudge goes in the fridge to chill. After it’s fully hardened, you can either cut the fudge into squares (as pictured) or use cookie cutters to cut fun, festive shapes. This candy cane chocolate fudge is smooth, creamy & perfect for the holidays. So if you’re looking for a really easy, really delicious chocolate fudge recipe – then this one’s for you! 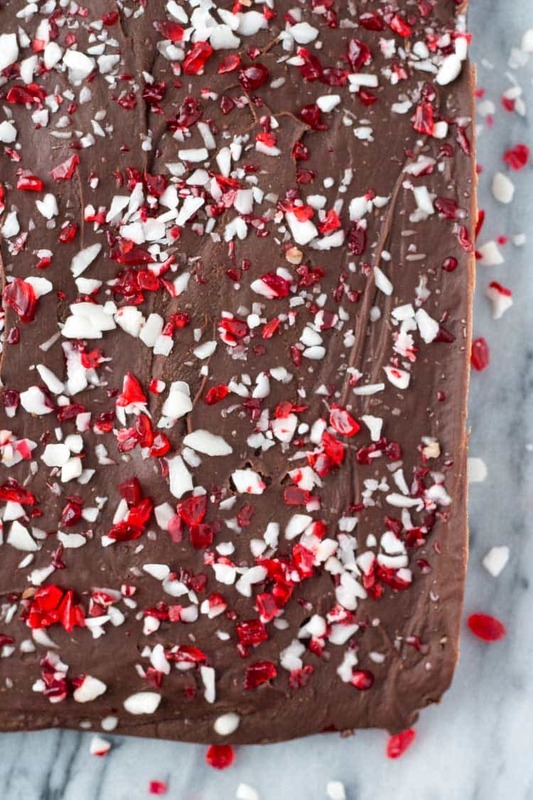 This Candy Cane Chocolate Fudge is smooth, creamy & perfect for Christmas! So easy to make - it's a great gift too! Line an 8x8 inch square pan with parchment paper. Or line with aluminium foil and lightly grease. In a medium saucepan add the chocolate chips and sweetened condensed milk. Allow to melt over low heat while gently stirring. Once chocolate is just melted, remove the pan from the heat and gently stir in the vanilla extract. Pour into the prepared pan and sprinkle the candy canes over top. Place in the fridge to chill for at 4 hours, then cut into small pieces. Fudge can be stored in an airtight container in the fridge or at room temperature.